Dateline Houston, January 1941. Cornelius Pickett, former executive vice president of the Lumberman’s Association of Texas is inaugurated as mayor. The 36th Infantry Division of the Texas Army National Guard is activated and leaves Houston to train in Fort Benning, GA for battle overseas. 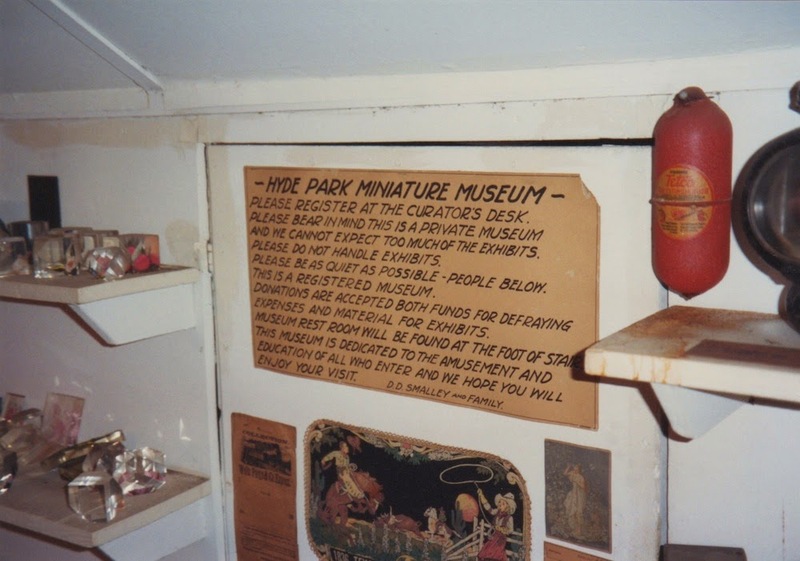 And in the attic of his Craftsman bungalow in the charming Hyde Park area west of downtown, a man named David David Smalley opens what he calls his “Miniature Museum” to entertain the neighborhood kids. Smalley worked as a mapmaker for the Southern Pacific Railroad, married and raised two children, and taught Sunday school. In his free time, he collected things. Little things, mostly. Really, he collected just about anything you could name. 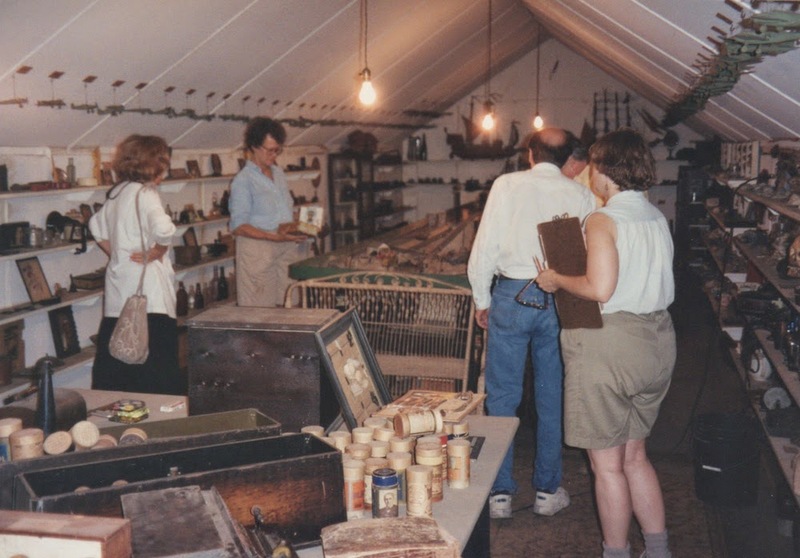 In his miniature museum, which filled every inch of his dusty attic space, the visitor stepped into a wonderland of doodads, thingamajigs and whatchamacallits, more than 1500 in all. There were mastodon teeth, World War I bullets, jars filled with the monogrammed stubs of Smalley’s map-drafting pencils, and souvenir pennies from the 1934 World’s Fair in Chicago. There was a cucumber seed found on the Capitol grounds, an early X-ray tube, a Mexican chocolate mixer, and an old corset stay (“probably traveled many a mile,” read its display card; each object was assiduously labeled with one). 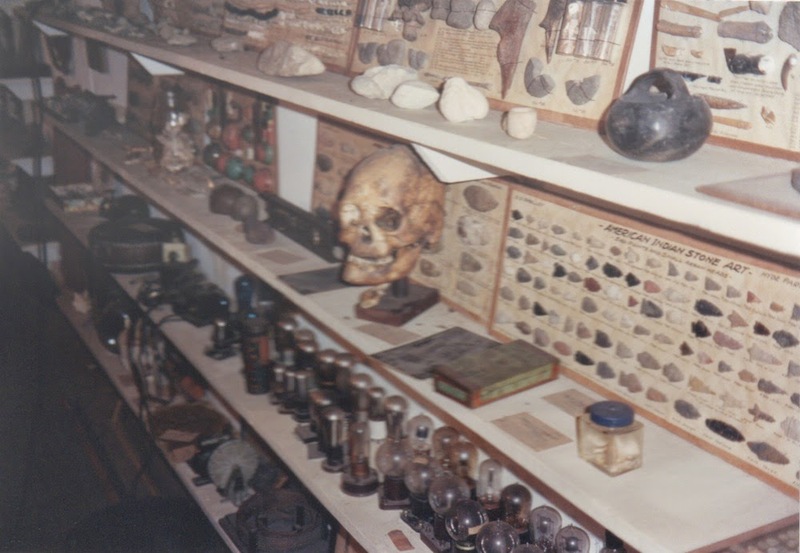 The museum didn’t just contain the things he collected; it also displayed things he made. 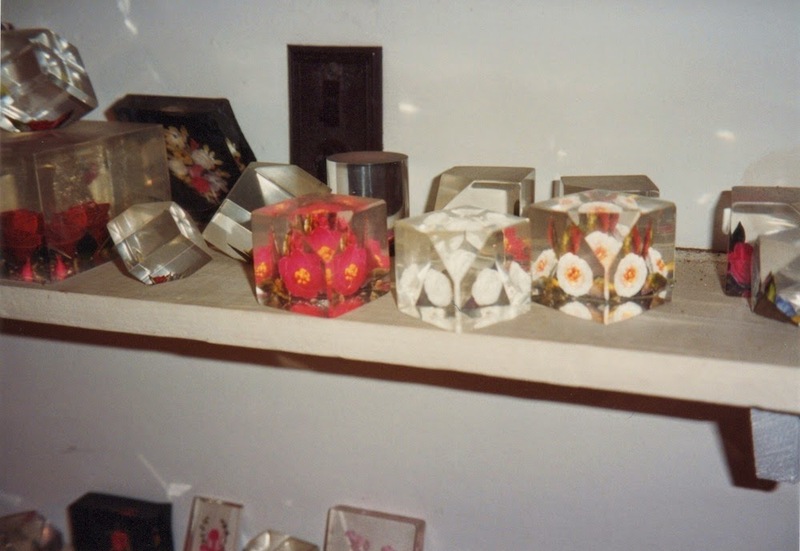 He carved delicate flower designs into Lucite blocks cut from the windshield of a World War II bomber, made model train engines from toilet paper tubes, and whittled dozens of model airplanes from balsa wood, which he painted army gray and hung from the ceiling. There was a train set, an eight-foot-tall telescope (its 12-inch glass lens ground by Smalley’s own hand), and a metal robot that would wink, wiggle its ears, and dance to the delight of Smalley’s pint-sized patrons. He built that, too. The guest book bears the signatures of the 690 visitors who stopped by in between the museum’s opening on January 1st, 1941 and Smalley’s death on October 31st, 1963, right around the time that Jeff McKissack was toiling away on his plant nursery, that Cleveland Turner was hopping off the bus on his way to California, that John Milkovisch was beginning to stash bundles of flattened beer cans in his attic. That averages out to about 35 visitors a year. But drawing a crowd was never the point, nor was making money. As the sign at the front door read, “Please bear in mind this is a private museum and we cannot expect too much from the exhibits.” Still, it’s tough to imagine that those 690 guests didn’t get much more than they bargained for. "We cannot expect too much of the exhibits"
David David Smalley was born in Indiana in 1889, named after his grandfather and uncle, both Davids. His grandson Frank Davis suspected he was drawn to Texas by his sense of adventure. D.D. married the daughter of the sheriff of Hempstead, which until a decade prior to his arrival was still known as “Six-Shooter Junction.” They settled on Tulane Street in the Houston Heights in 1912, and Smalley found work in the classified department of the Chronicle. It might have been a good fit for the gentle, shy Smalley, but he’d soon find more exciting work when he was hired to survey the Texan frontier as a draftsman and mapmaker for the Southern Pacific Railroad in 1918. A contemporary newspaper account states that Smalley contracted influenza, which weakened his spinal column. Frank Davis contended that family lore had his grandfather falling off of a hayloft and onto a wagon wheel. Whatever the case, beginning in 1924, Smalley spent over a year in a body cast at the Southern Pacific Hospital on White Oak Bayou. He was free to use his hands and his limitless imagination, however, and whiled away the hours making beaded purses and model airplanes. One day, he asked a nurse to bring him a knife, some wood scraps, wire, glue, and a 16-ounce flask. From these materials, he constructed a tiny rural scene inside the bottle, with a farmer playing the banjo and his wife chopping wood on the front porch of a fully furnished farmhouse surrounded by barnyard animals. He entitled it “My Old Kentucky Home.” Smalley would go on to make more of these bottle scenes during his convalescence and the proceeds from their sale was enough to buy a radio transmitter for his ward with a set of earphones for every patient. When the Smalleys moved from the Heights to a bungalow at 1406 Welch Street around 1940, D.D.’s collection was relegated to the attic at his wife’s behest. He lovingly arranged his rocks, his bones, his pesos, his gas masks, his costumed flea, and his splinter from Old Ironsides on cramped shelves that lined every wall, and beneath the model train set in the center of the room he stashed his near-complete runs of such magazines as Popular Mechanics and Life, along with countless cigar boxes containing even more treasures (clock parts, spools, European postcards), as well as a quarter of a million postage stamps. He wasn’t interested in the rare or valuable ones. Instead, he enlisted the help of his grandchildren and their friends in steaming ordinary stamps from correspondence that arrived at the Southern Pacific office. They then sorted them by color and denomination, and with white silk thread Smalley tied them in neat bundles one hundred thick. Then he wrote “100” on the back of each packet with a sharp pencil. Stricken with cancer, Smalley spent the end of his life amassing and repairing a collection of more than 900 clocks; he carefully set them so that each kept a slightly different time. Ostensibly he wanted to spare his family the deafening sound of 900 clocks chiming at once. The end result, however, was a conversation-stopping five-minute cacophony of overlapping chimes. In between there was a constant, anxious ticking. To help with the project, Davis enlisted his friend Helen Winkler, an art historian and administrator who in the late ‘60s had studied under Dominique De Menil during her term as director of the art department at the University of St. Thomas. She’d soon move to New York City to help establish the Dia Art Foundation, a multi-disciplinary contemporary arts organization that commissioned massive site-specific environmental works by James Turrell, Michael Heizer, and Walter de Maria. But in 1972, she was simply looking for a set of speakers. Davis, a reformed hot-rodder and a folk musician who was also recording the psychedelic rock of the Red Krayola and the 13th Floor Elevators as an engineer at producer Walt Andrus’ studios, had them. Still, the particularly curious could arrange to view the museum by appointment until Davis and his sisters sold the house in 1994. Susanne Theis obtained an emergency grant from the Cultural Arts Council of Houston and Orange Show volunteers donated more than one hundred hours of labor cleaning, cataloguing and packing the collection in the attic’s stifling heat throughout the month of August. Davis was filmed giving a walk-through tour and photographer John Lee Simons documented every inch of shelf-space so the items’ arrangement could be properly reconstructed in the future. Theis declared it a “wunderkammer,” a German word meaning “wonder cabinet” that was often applied to the curio collections of royalty and aristocrats in the centuries before the rise of the modern museum. But wonder or not, for the next eight years, Smalley’s treasure trove sat dormant in a barn on Smalley’s granddaughter’s farm near San Marcos. Karl Kilian had known Helen Winkler since their school days in the art history department at the University of St. Thomas. 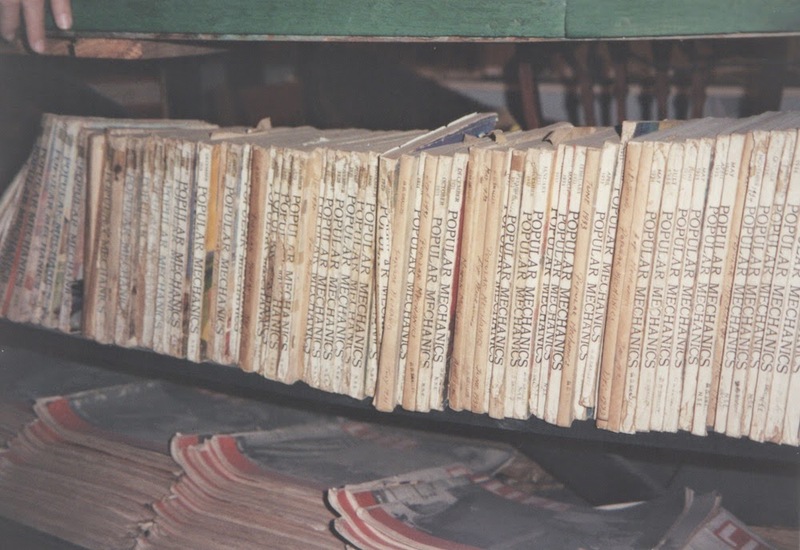 While she’d gone on to establish Dia, he’d opened the Brazos Bookstore in March 1974 to sell hand picked texts and to bring writers and readers together for book signings and lectures. 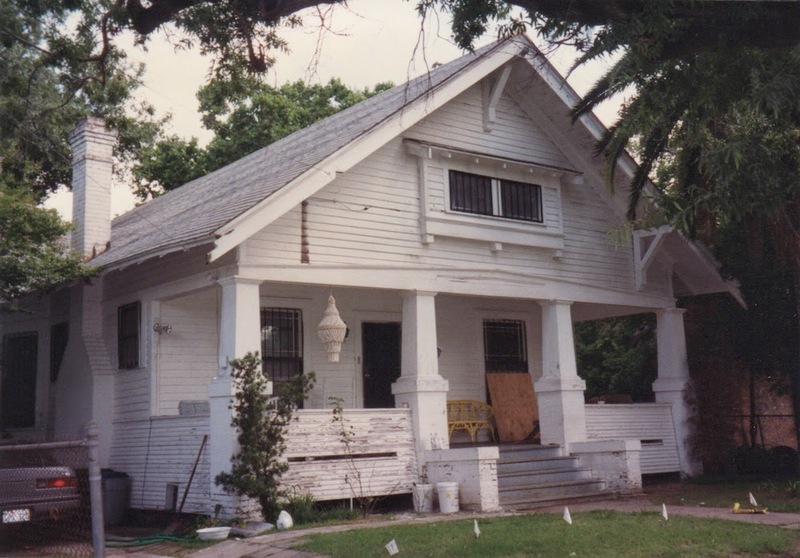 In 1999, friends of the shop started a non-profit organization called Brazos Projects to host related events in an adjacent gallery space, including exhibitions of furniture made by sculptor Donald Judd and architect Frank Gehry, and a rare showing of painter Cy Twombly’s photographs of famous art pals like John Cage, Franz Kline and Robert Rauschenberg. At Winkler’s urging, Rice University architecture professor Danny Samuels led a team of nine students who constructed a steel Unistrut frame replicating the proportions of the Welch street attic, from the spacing of the shelves to the pitch of the roof. From the frames’ arch dangled bare lightbulbs just like the ones that lit the original collection. Winkler and Davis were on hand every weekend to guide visitors through the display. In fact, a workshop was installed in the rear so that Frank would have a place to keep up with the constant maintenance that the fragile items required. Just as in Smalley’s lifetime, kids were encouraged to handle the materials, and with their help, Davis revived the practice of postage stamp-stacking, using the many boxes of unsorted stamps left behind from the museum’s earlier incarnations. When a child had bundled one hundred stamps. Frank would take a pencil stub from his grandfather’s jar and mark them accordingly. That's awesome! I'm elevating it into the body of the post. FANTASTIC!!! Thanks for the memories.